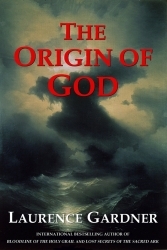 If there was nothing before God created everything, then where was God before that? If the Bible had never been written, would we know about God from any more original source? Did the Israelite scribes invent God for some reason, or did they have access to earlier records concerning him? If so, what were they? So, from where precisely did the Israelites of that era glean their knowledge of events and characters from thousands of years before - events which, following the brief account of God's earthly creation, begin in the book of Genesis with the story of Adam and Eve? Is there an intelligent, supernatural entity in the universe - or is the concept just an abiding superstition? The Lord said unto Moses: 'I am El Shaddai, the God of thy father, the God of Abraham, the God of Isaac, and the God of Jacob'. Who, what and why is God? Who was El Shaddai? When did his tradition begin? How did it evolve?